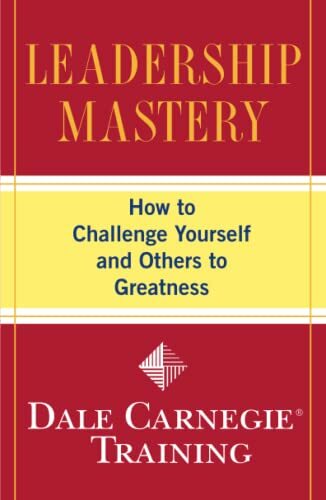 [PDF] Leadership Mastery: How to Challenge Yourself and Others to Greatness (Dale Carnegie Training) | Free eBooks Download - EBOOKEE! Description: In a world becoming more and more virtual, human relations skills are being lost along with the skill of leadership. And yet never before have these abilities been more valuable or sought after. What's needed is a new type of leader one who can inspire and motivate others while adhering to timeless leadership principles such as flexibility, adaptability, trustworthiness, and distribution of power. With Leadership Mastery, you will identify your strengths and adopt effective strategies to: ? Gain the respect and admiration of others using little-known secrets of America's most successful leaders ? Get family, friends, and coworkers to do what you ask because they want to, not because they have to ? Respond effectively in a crisis ? Make powerful decisions and follow through on them using Carnegie's action formula Incorporating interviews with top leaders in business, entertainment, sports, and academia, Leadership Mastery stands next to the classic How to Win Friends and Influence People. No comments for "[PDF] Leadership Mastery: How to Challenge Yourself and Others to Greatness (Dale Carnegie Training)".